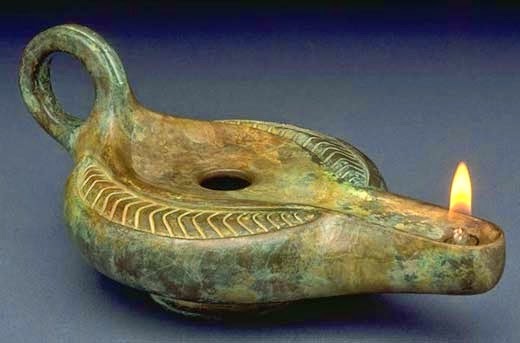 the first tool used to make glass beads. Today, the first day of August, exactly marks the one-year anniversary of the start of this blog, Conciatore. I did not know what I was doing when it began and a good case can be made that the situation has not changed all that much in the intervening months. At first, I thought I might have enough material to keep it going for about six months and I was happy with that. It would be a sort of test to see if I had the chops to crank out a regular column on deadline, sweat the details, and get my facts correct. I never thought of myself as any kind of journalist, but as writing became more of an avocation for me, the question did pose itself. 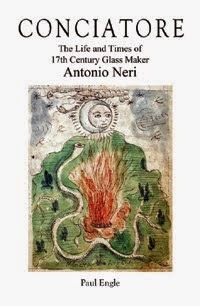 I thought there might be a small groundswell of enthusiasm to learn about Neri, an obscure seventeenth century Florentine priest who was also a glassmaker and an alchemist. After that I expected interest to trickle off and I could comfortably fade into obscurity and shut down the blog without anyone noticing; that is not what happened. In fact, very little has gone according to plan, but that is ok with me. The realization that a backlog of posts was not going to happen was quickly replaced by continual panic about what I was going to write about next. Somehow, new subjects keep coming and I have learned to relax a little. Right now, for instance, I am only a few hours from post time. The biggest surprise, for me, has nothing—or maybe everything—to do with writing; it is the fantastic group of people who have collected around Conciatore. Thank you; thank you for making my life richer for knowing you, even if only through an occasional comment. Now that I am hooked, I can not imagine shutting down the blog, although I also have no idea what I will write about for another year, let alone next week. TO THE MOST ILLUSTRIOUS AND MOST EXCELLENT GENTLEMAN DON ANTONIO MEDICI. Since I spent many years of my youth laboring around the glassmaking craft and experimenting with many fine and marvelous effects, I have now drawn up a treatise with the greatest clarity of which I am capable, in order to publish it to the world to help and delight, as much as I will be able, those who know this craft. I have made many things of my own invention and I have tested other recipes of skilled craftsmen, verified as true; since they were hidden I want to reveal them for the reasons stated above and if successful, I will be encouraged to publish the remaining part of my hard work on the subjects of chemistry and medicine as well. I have experienced, in both of them, many useful effects, which are believable and commendable only by those men who know these subjects. In all consideration, I dedicate this book to none other than you, most illustrious Excellency, for you have always been my outstanding patron and you also understand this and all other worthy and precious knowledge. In fact, you practice all of the arts required of a true and generous Prince. I implore you therefore to accept if not my work, then my complete devotion to your great merit and virtue, Excellency. I pray that God will fill you with happiness.